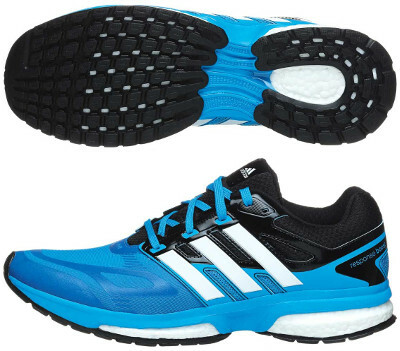 Adidas Response Boost are neutral cushioned running shoes. The Adidas Response Boost is the result of the incorporation of Boost™ technology to the Response Cushion serie from the german brand. As representative of the mid range in the highly competitive cushioned running shoes section, in Response Boost™ foam shares the midsole with widely tested EVA, but thanks to this innovation and a renovated seamless upper which improves breathability, new Response Boost are far lighter than its predecessor the Response Cushion 22. Other changes are the usage of TORSION® technology in the midfoot that provides firmness and stability and the two differents editions in which this model is available for end customers: ventilated mesh and techfit™ for a better fit.